Saheb Bhattacharya is an Indian origin actor who works in the Bengali film industry. He is best known for playing the role of Topshe in the 2011 thriller Royal Bengal Rahashya and portraying the role of Tapesh in the 2010 thriller Gorosthaney Sabdhan, both directed by Sandip Ray. Saheb first came to spotlight with the 2008 television show Bandhan, which paved the way for his entry into the film industry. 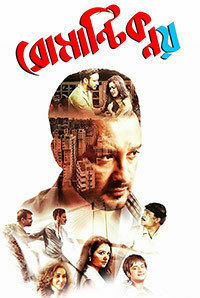 Saheb Bhattacharya’s movie career began with the largely successful Bengali thriller Gorosthaney Sabdhan in 2010. In the year following his debut film, Saheb appeared in the highly appreciated 2011 Indian drama Iti Mrinalini: An Unfinished Letter, directed by Bengali filmmaker Aparna Sen, alongside the extremely popular Konkona Sen Sharma and Aparna Sen herself. The movie revolves around an actress who writes a suicide note and is willing to go ahead with it, but relives her youth when she tries to destroy documents from her past. 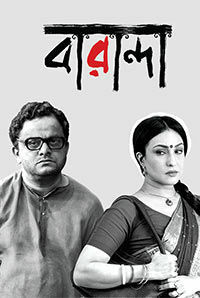 In 2011, the actor was seen in the critically-acclaimed Ami Shubhash Bolchi, a Bengali-language film directed by Mahesh Manjrekar, about a Bengali man who adopts the ideologies of Netaji Subhas Chandra Bose to bring about unity in the Bengali community to stand against the wrongdoers. In the movie, Saheb co-starred with Bollywood star Mithun Chakraborty. 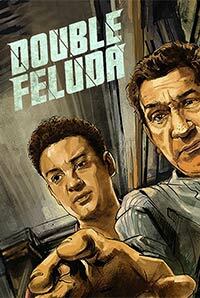 His next film was Sandip Ray’s thriller film Royal Bengal Rahashya. In 2013, he featured in Manoj Michigan’s comedy-drama film Damadol, followed by Half Serious, a social satire based on the issues of domestic violence and gender inequality, directed by Utsav Mukherjee. 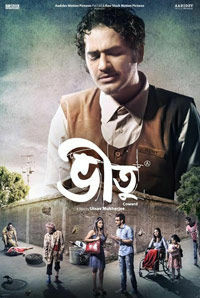 Saheb then appeared in the 2014 adventure film- Khaad, under the direction of Kaushik Ganguly. In 2015, he acted in the Bengali drama film Ichchhemotir Gappo, directed by Atanu Hazra, Adinath Das, and Kaushik Sengupta, followed by the drama film Romantic Noy, which released in 2016.